Although most veterinary practitioners can diagnose and treat many conditions, treating some heart problems in cats can require training with an ultrasound machine that can help visualize and measure the heart. 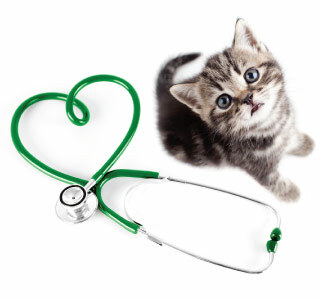 The above symptoms can indicate one of many possible conditions, including feline heart disease and potentially something unrelated to the cardiovascular system. If you notice any of the above symptoms, we recommend scheduling an appointment with one of our veterinarians immediately. These changes allow the heart to work more efficiently, thus allowing for a reduced chance of damage and failure. Because heart medication is modifying the function of the heart, it is important to strictly follow your veterinarian's recommendations for dosage and administration frequency. The existence of these variables and possibilities make both preventive and follow-up care of the utmost importance where heart disease and congestive heart failure are concerned.